Join our editors on a world-class fly-fishing adventure, and be part of a feature article in the magazine. Get a free print copy at your local fly shop, or read the digital version here. Learn from some of the top fly tyers and designers in the industry. Sign up here for this issue’s Gear Giveaway Contest. We’ve been publishing Fly Fish America for 22 years! We live to fish, and thankfully we can call it a job. 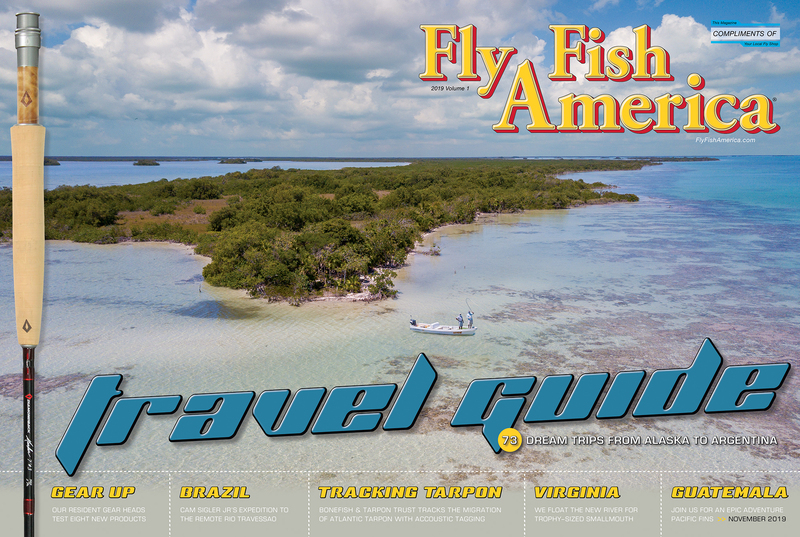 Get a FREE digital subscription to Fly Fish America. Sign up here, and you’ll be emailed a link to all future issues. Be sure to come back often to see what we have been up to. We will be writing new blog posts, posting pictures, adding videos, and client testimonials. Fly Fish America is a different kind of magazine—in a lot of different ways. We’re not a bunch of ivory-tower journalists here at Fly Fish America. We’re just a bunch of guys like you who live to fish, and can speak and write fairly good English. Subscribe to our monthly newsletter for the latest gear reviews, as well as priority booking for our hosted trips, and links to our digital issues.